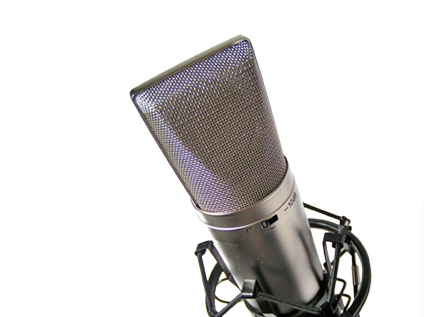 in professional voice artists for Voice Overs and Audio Productions. If you’ve only got 15 – 30 seconds to capture your audiences’ attention, you need to make sure you have a winning first line. Much like a headline for a print article, the first line of your audio production really needs to have some punch to get your listeners to really take notice of what you have to say. How can you do this? Well here are a few pointers for your next audio campaign. Can your product or service fix a problem? Or is your product or service offering something your customers NEED? If so, make sure you address this in the first line. For instance, a financial lender could start with: “Need finance in a hurry?” or a plumber could say: “Got a leak and need it fixed fast?”. Remember the old saying “What’s in it for me?”, well that is exactly what your customers want to know. Fact! People love hearing facts – especially if it is true (LOL). If you have useful information that would be of interest to your core target market, then use this information to entice them to listen to the rest of your commercial. This isn’t for all business types, and must be used with caution. A humorous one liner that is relevant to the rest of your advertisement, and that is easily understandable could really stay in the minds of your audience and make for a very memorable audio advertisement. Though this tactic can also backfire, so make sure you’re not talking in riddles and not confusing your customers. Give Your Customers What They Want! What’s In It For Me? Or more to the point what is in it for your customers? Make sure you are giving them want they want. Tell them about the benefits of your product or service, and why they need to invest in your service. If you are a beautician then your customers are going to want to look more beautiful. Accountants your customers are going to want to get the biggest tax return and real estate agents your customers want you to get the best price for their house. Writing a script for an audio production is a complex process, because unlike with writing, you can’t waffle on, you need to get straight to the point. You need to sell your product and service in just a couple of sentences. And more often than not, the first sentence in your production is what will draw them in. Media Sound has a team of very creative copywriters who have an abundance of experience in writing high quality audio for various channels. Contact our specialised team today. This entry was posted in Advertising, Audio Production, Copywriting, Media Sound. Bookmark the permalink. Media Sound is an Australian based Audio Production company specialising in the recording of Voice Artists and composing of Production Music. Our Voice Overs and Voiceover productions can be heard on Radio and Television Stations, Telephone Music On Hold Systems, Website Audio and Corporate Videos in Sydney, Brisbane, Gold Coast, Melbourne, Adelaide, Perth, Hobart, Darwin, and all over Australia and the world. We are extremely passionate about Audio Productions and our Production Studios together with our Audio Engineers make us the market leaders. Oursister company Media Messages supplys messages on hold for your telephone on hold advertising!